I was recently offered these free Pooh Coloring Sheets from Disney in honor of Pooh returning to theaters this summer (July 15th). The coloring sheets are free to download for all of my readers.Go check them out! Using these color sheets, Logan and I practiced the early writing skill of scribbling. We have just started the Handwriting without Tears program, and I used some of their methods. I began by telling Logan we were going on an "Egg hunt'. "Where have you seen eggs lately? What color were they?" Then we looked at the coloring sheets. Scribble: Have your child aim the crayon and put it on the egg. 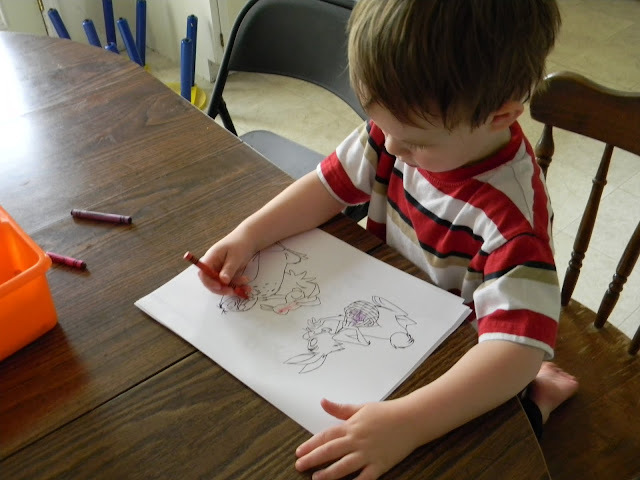 The little finger of the hand that his holding the crayon should rest on the paper. Have the child use the other hand to help hold the paper. Don't lift the crayon or hand, just wiggle and scribble. "Let's scribble eggs." *Put the crayon on the egg and scribble. ﻿ Of course, if you have children competent in coloring, you can just give them these cute sheets for coloring fun. 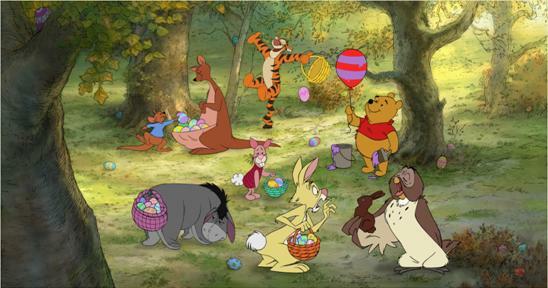 After scribbling for a while, relax your hands by reading Pooh's Easter Basket! I'm linking this up. 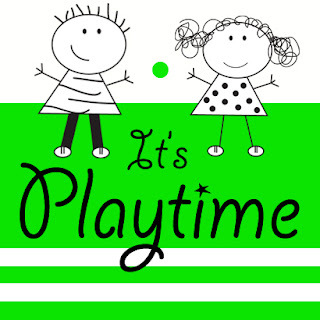 This week I am featured on It's Playtime! link up. 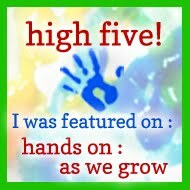 I was so excited when Jamie from hands on: as we grow notified me that she had picked my Easter Egg Pick Up baby activity to include in a whole slew of baby activities. You can see this weeks play ideas here. There are usually close to 100 play ideas on this link up. Pretty cool. 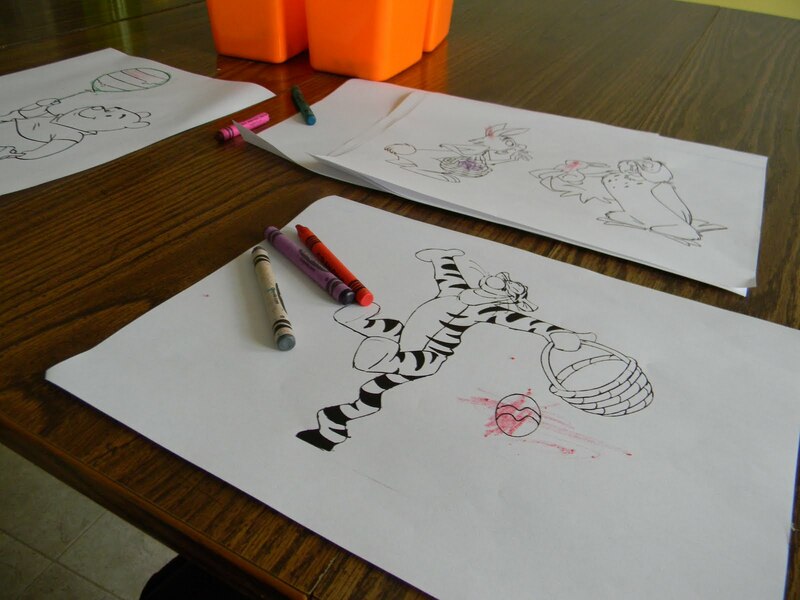 The coloring pages look like fun! Thanks for linking to Read.Explore.Learn.